Bad news for coffee lovers: Coffee sellers in California are now required to include a cancer warning on their products due to a carcinogen in the beverage. On March 29th, a Los Angeles judge ruled that drinking coffee could have negative health effects that the public should be aware of. The carcinogen in question is called acrylamide, which is formed during the roasting process, and is a white, odorless chemical. If this totally freaks you out and turns you off of coffee for good, don’t worry: there are plenty of delicious caffeine alternatives out there. Before you switch to a coffee alternative forever, though, you should know the facts. While acrylamide is a carcinogen, a 2016 study by the International Agency for Research on Cancer under the World Health Organization found limited conclusive evidence of a carcinogenic effect from drinking coffee. So while it sounds really scary, it’s possible that it’s not quite as bad as it seems. It’s also worth pointing out that acrylamide has always been in coffee. It’s a byproduct of the roasting process, not an additive. While the chemical is still being studied, there aren’t any specific links between acrylamide in coffee and cancer. If anything, you need to be more worried about getting cancer from cigarette smoke before giving up your cup of joe. Still, it’s understandable if you feel like you need a little break from coffee, or if you just want to cut down your intake and find an alternative to caffeine. Check out some of the best caffeine alternatives below, so you don’t fall asleep at your desk every morning. Green tea is probably the most popular substitute for coffee. While it does have less caffeine than a latte, it will still energize you and help you wake up, and it’s a whole lot healthier. Green tea’s health benefits include lowering your risk for some types of cancer, lowering your risk of diseases like Alzheimer’s and Parkinson’s, and killing bacteria to improve dental health. It’s also really tasty, can be found almost anywhere coffee can be found, and is super easy to make on your own. If you’re not a fan of green tea, try black tea. An eight-ounce cup of black tea is known to contain between 20 and 100 milligrams of caffeine, so it will definitely keep you awake. Black tea is also said to help reduce your risk of developing cancer and coronary artery disease. Here’s the perfect excuse to drink hot chocolate every morning: cocoa beans are a natural source of caffeine! If you’re going to do this, though, you’ll probably want to find a healthy hot cocoa mix, and you shouldn’t add extra sugar. Cacao also includes caffeine, although it’s more bitter. Yerba maté contains a lot of caffeine, making it a great alternative to coffee. It’s a natural South American beverage that is made by steeping the leaves and twigs of the yerba maté plant in hot water — like tea. 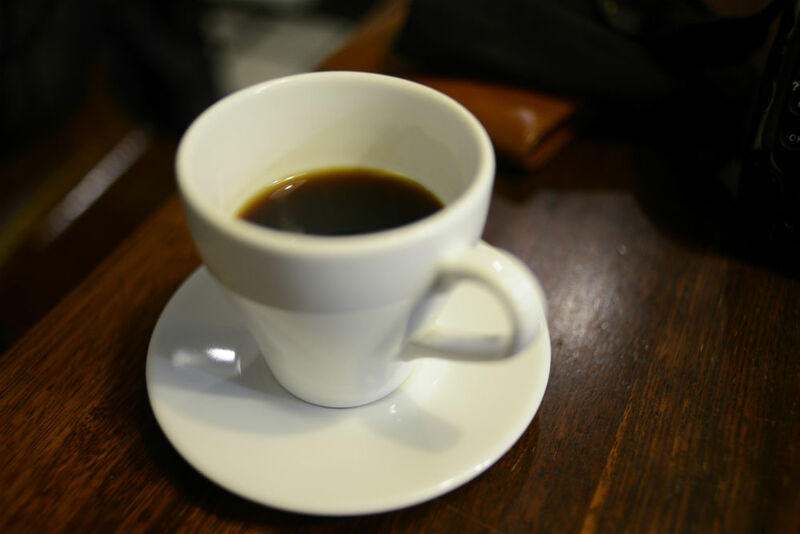 An eight-ounce cup can contain about 30 milligrams of caffeine. Just so you know, though, yerba maté can be bitter, and isn’t for everyone. But it’s also packed with amino acids, antioxidants, and vitamins and minerals. Yerba maté is supposed to give a buzz that’s similar to coffee’s, so if you’re willing to try it out, it might be your best option. Matcha is enjoying a very popular moment right now, and for good reason: it’s super healthy, and it’s very energizing. While it doesn’t have as much caffeine as coffee, it has lots of health benefits, like the fact that it’s high in antioxidants, and can boost brain function, prevent cancer, and protect your heart. It’s worth pointing out that matcha can be bitter, so a lot of places that sell it add a ton of sugar to make it taste delicious. If you’re looking for something healthy, just keep track of the sugar. Teeccino is a coffee substitute made of carob, dates, and almonds. It’s actually caffeine-free, but the dark, roasted flavor is very similar to coffee. It has a lot of reported health benefits and tends to be good for people with digestive issues. If you’re looking to get away from caffeine completely, you might want to try this out. Wheatgrass might have a bad reputation as being the “weird” drink of choice for many health junkies, but it’s a good way to get off of coffee. It’s a natural energizer packed with essential vitamins, minerals, and nutrients. The taste isn’t fantastic, but a shot of it is popular and quick, and will definitely give you a boost of energy. Chai is made up of black tea, which is a great source of caffeine. It’s better than just straight black tea, though, thanks to the delicious added spices, including cinnamon, ginger, and cardamom. Chai tastes really great and will give you a boost of energy. It’s an excellent way to get over coffee. Test them all out until you find out what works for you. Giving up coffee might sound impossible, but with caffeine alternatives like these, it won’t be as tough as you think.